TVR Sagaris revived - as a kit car. The TVR Sagaris has been recreated - in kit form. 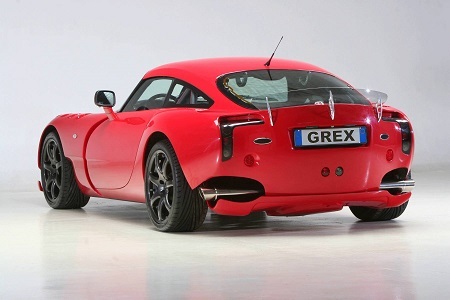 Grex Automotive is producing the Sagaris GT - a car that recreates the TVR Sagaris. The company, based in Tenerife, is offering cars with V8 Chevy engine options - replacing the original TVR 4.0 litre power units. Power will range from 485 bhp to 900 bhp depending on engine choice, the company says. The cars will have a GRP body with top speed of up to 185 mph and 0 to 60 in 2.9 seconds.